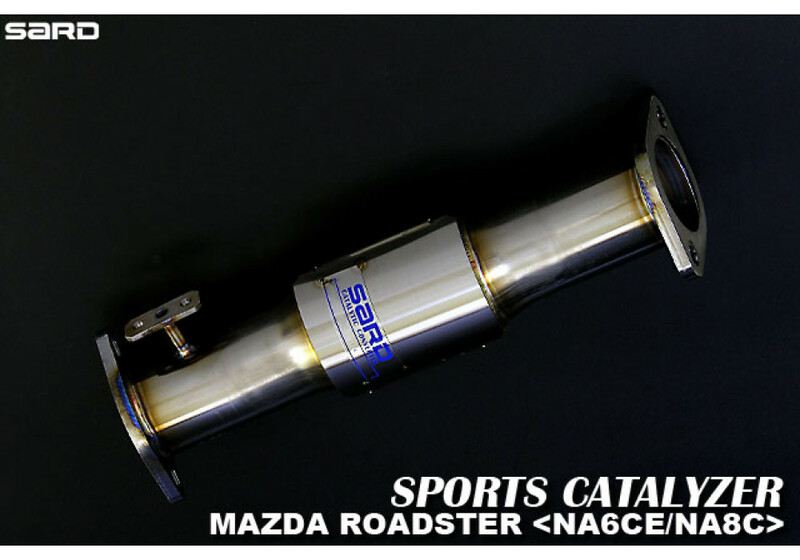 Racing Catalytic Converter made by SARD for the NA (1989-1997) and NB (1998-2005) MX-5 Miatas. 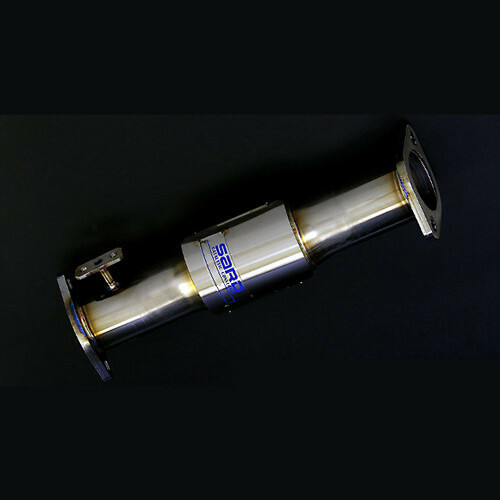 This catalyzer will allow a much better flow than the OEM one without polluting like a straight pipe. 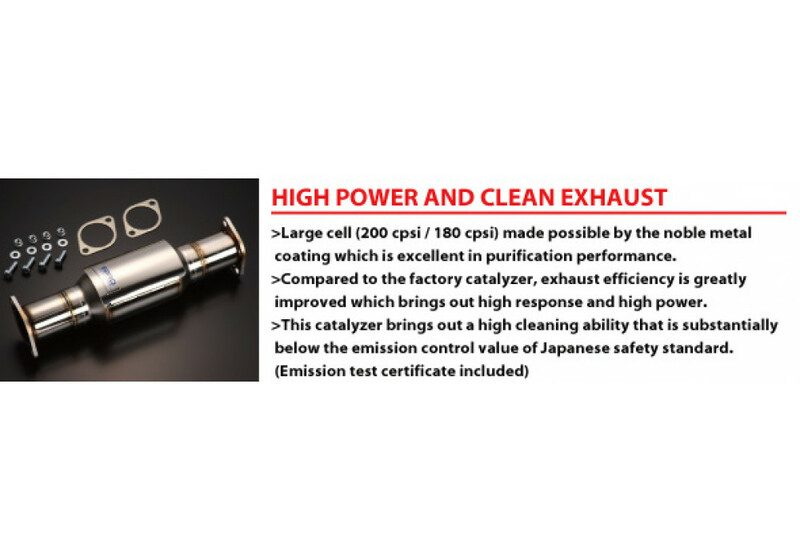 It brings high response and more power than when using the OEM piece. 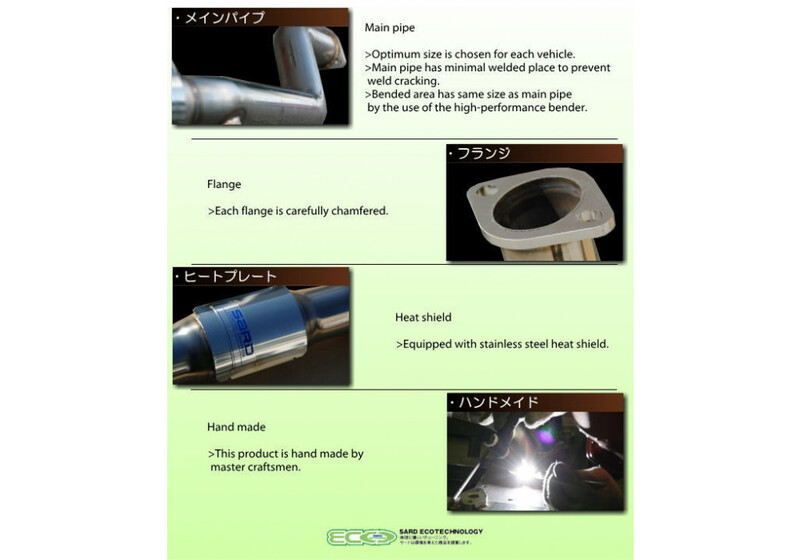 Main piping and flanges are matching with the OEM ones so that no modification are needed when installed onto your vehicle. 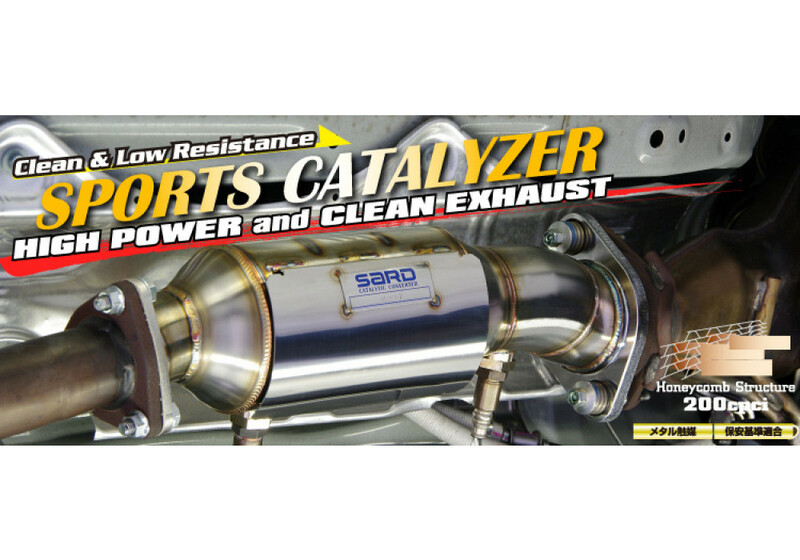 SARD Sport Catalyzer should be ordered at REV9 Autosport https://rev9autosport.com/sard-sport-catalyzer.html as they provide the best service and speed we've seen so far!